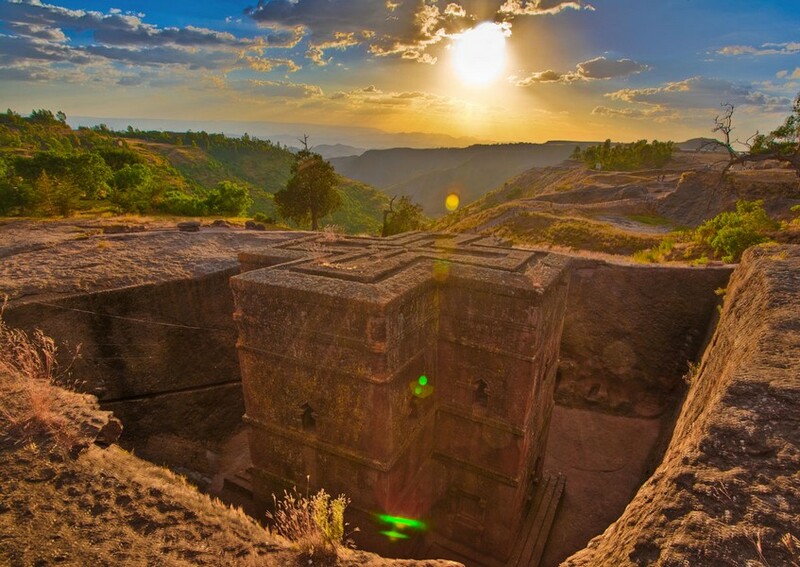 Ethiopia is truly a hidden gem waiting to be explored. 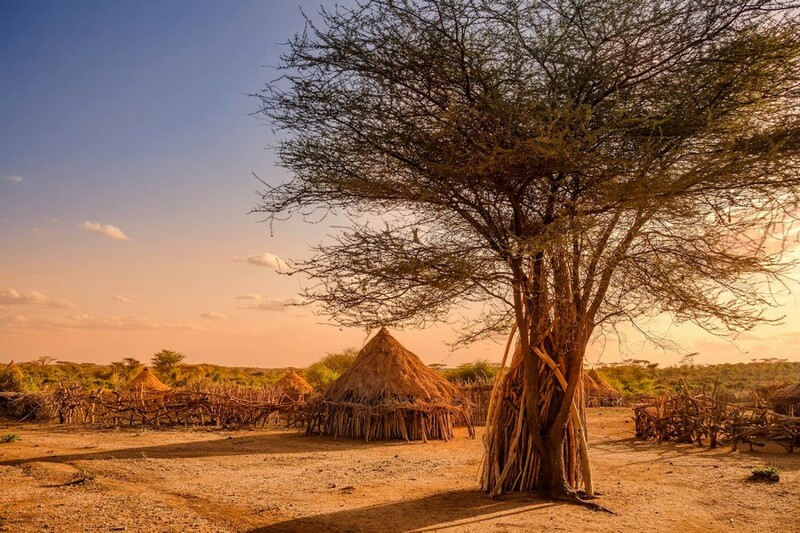 In general, luxury travel is still quite new in Ethiopia, you may not find Wi-Fi, join in stormy trips, and go to restaurants where many choices are not always available but do not let that stop you from getting to Ethiopia. 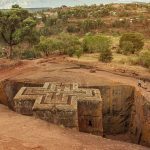 Let’s discover 8 days in Ethiopia to explore its cultural diversity through suggested this Ethiopia itinerary. 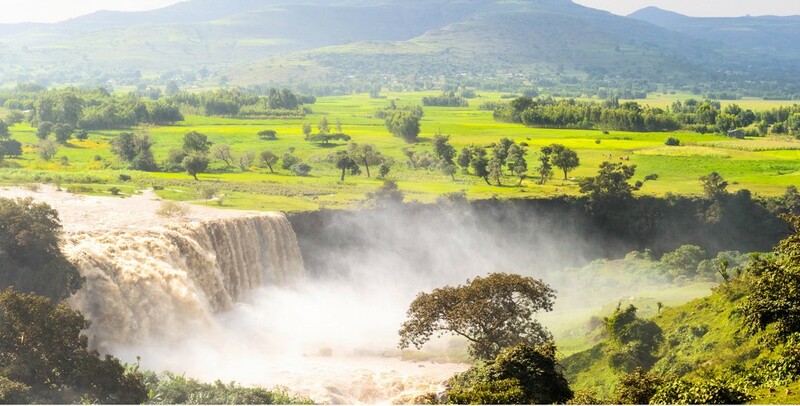 In fact, Ethiopia is perhaps the most appealing country in Africa, attracting many curious visitors from all over the world. 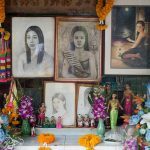 Livingnomads rounded up some destinations for your trip, most of which are mysterious destinations that may not be found on the Internet. 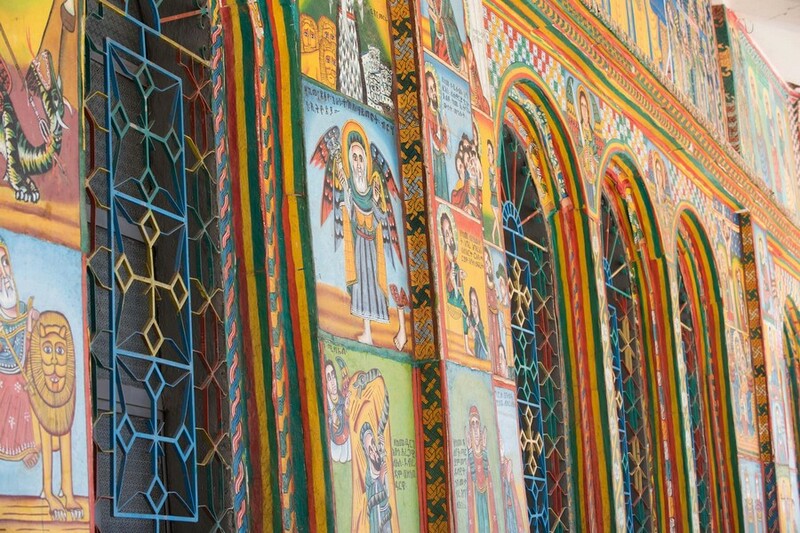 Photo: Ethiopia itinerary 1 week blog. 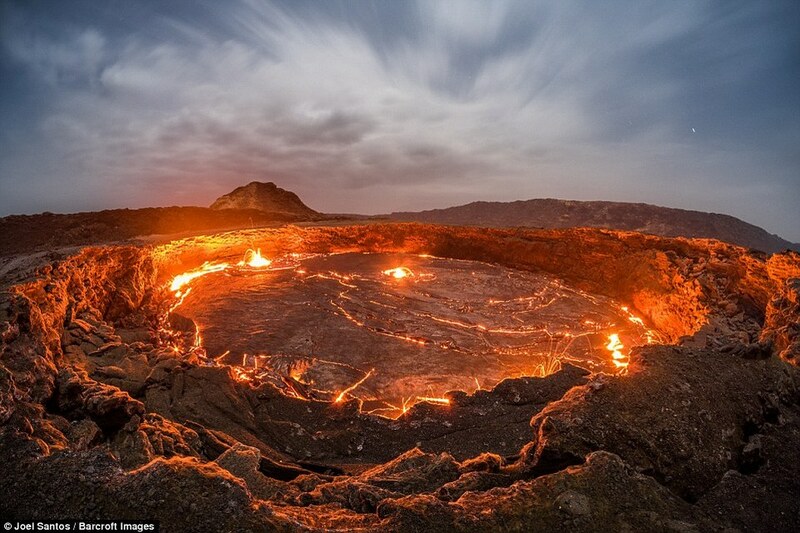 This is a good place to start as well as finish your trip in Ethiopia. 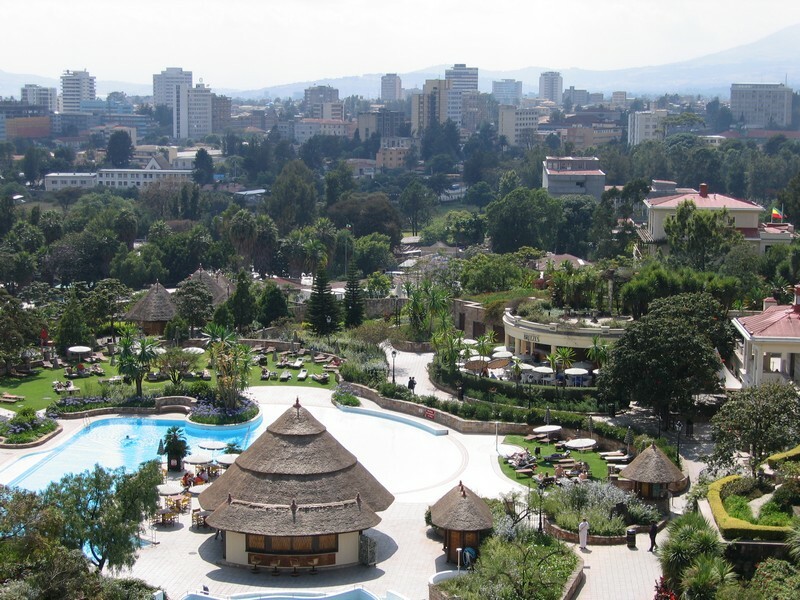 After experiencing the heat and dust of the journey to Ethiopia, not to mention the scarcity of food ingredients, the Sheraton Addis Hotel is regarded as a paradise with cool space and excellent food. 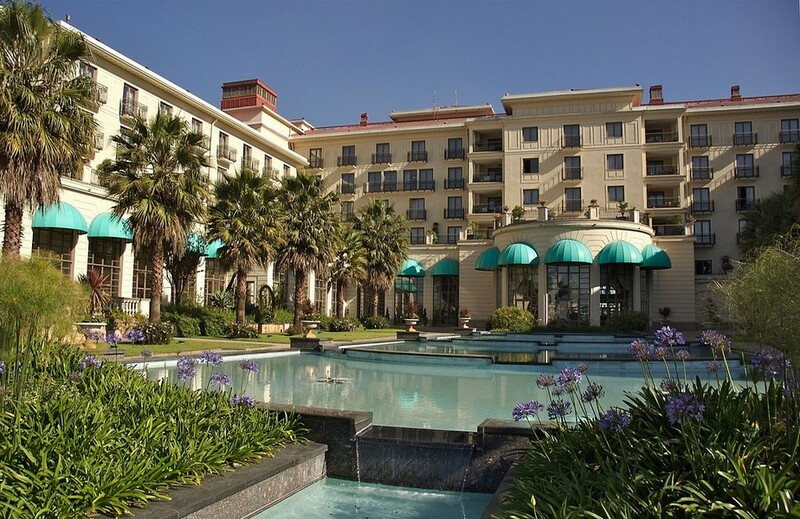 Being one of the best hotels in Africa, Sheraton Addis owns marble-lined architecture with contemporary Ethiopian art collections. 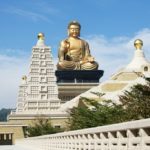 Once getting here, you get a chance to enjoy international cuisine, a “United Nation” style breakfast or Ethiopian specialties, wandering the shopping district, exploring local cuisine, or looking for something for gold and silver jewelry at Nani’s shop. 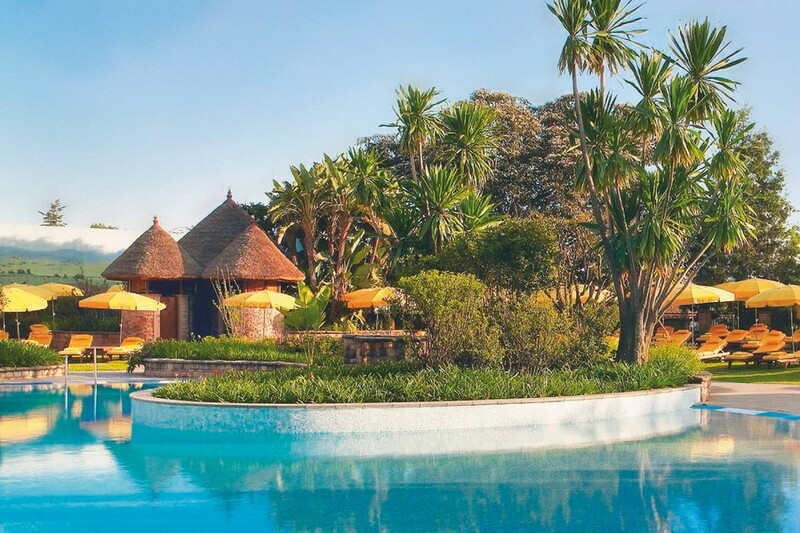 Fully emerging yourself in the large swimming pool while listening to underwater music, pampering yourself in the authentic Ethiopian massage package “Wogesha” before returning to your room for a deep sleep on one of the best pillows on earth. You will be amazed at the chains of the church here. 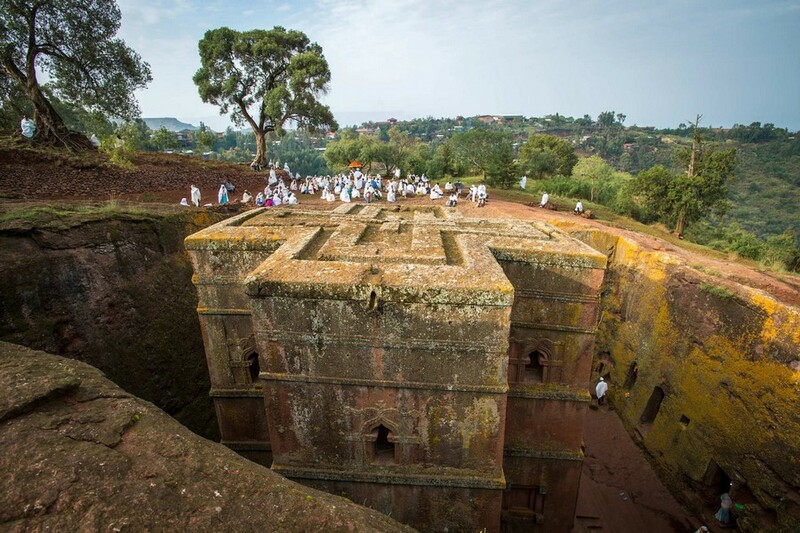 There are 11 stone churches excavated by King Lalibela in the 12th and 13th centuries. Deeply built underground, these medieval buildings are quite diverse, some of which are built of block stone with unique carvings along with many religious treasures. 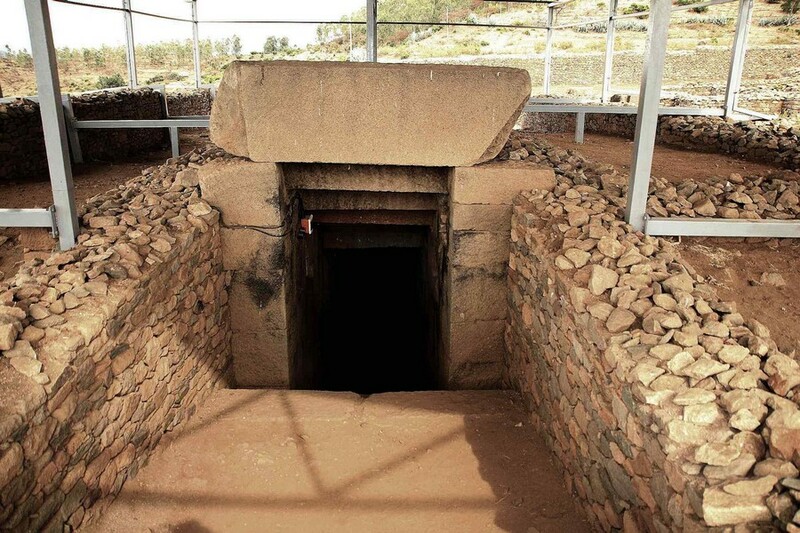 All are linked together through tunnel systems, trenches, and common grounds. You will see pilgrims in white dress praying at the Eucharistic celebration. 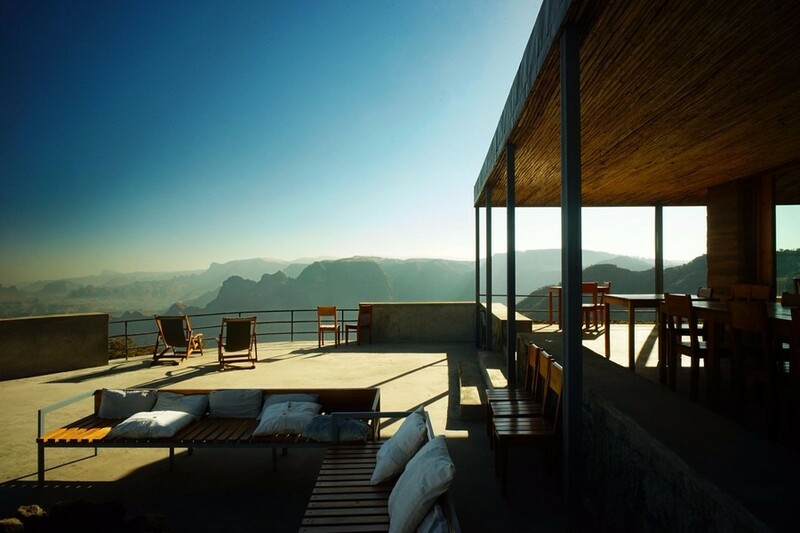 Stop at the Mountain View Hotel – a rock church-style building located at 2,680m on the side of Mt. 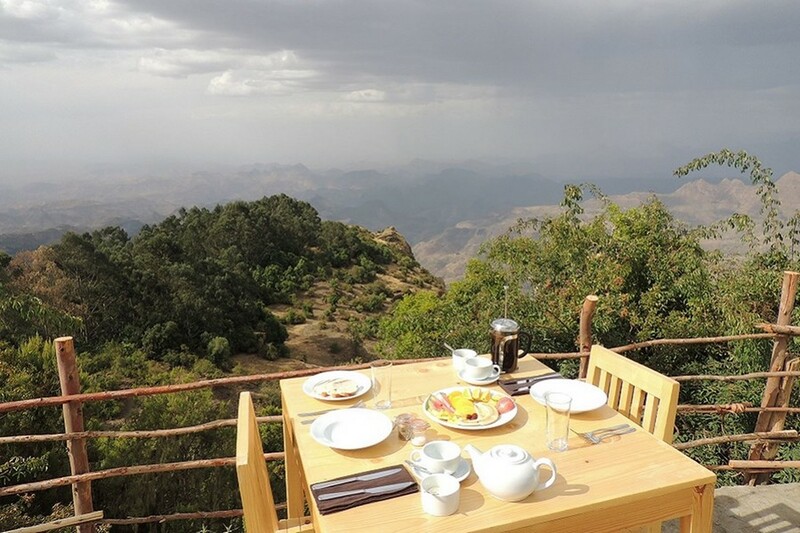 Lasta Mountain – to rest and recharge before exploring every corner of Lalibela. 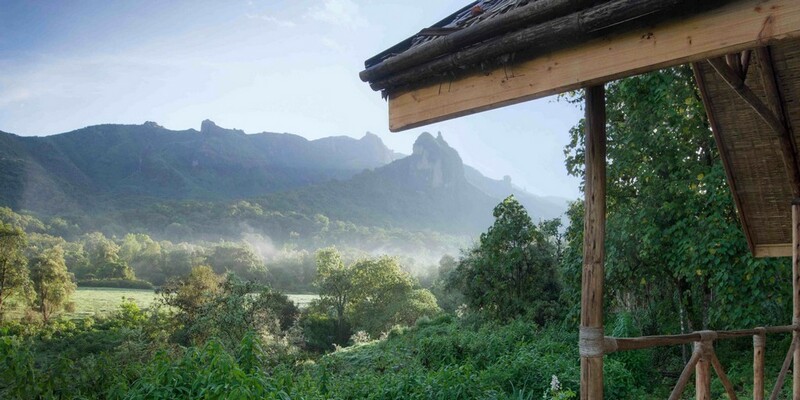 Only an hour flight and 90-minute drive from Addis, Limalimo Lodge is a new destination in the Simien Mountains and is the most attractive place for treatment in Africa. 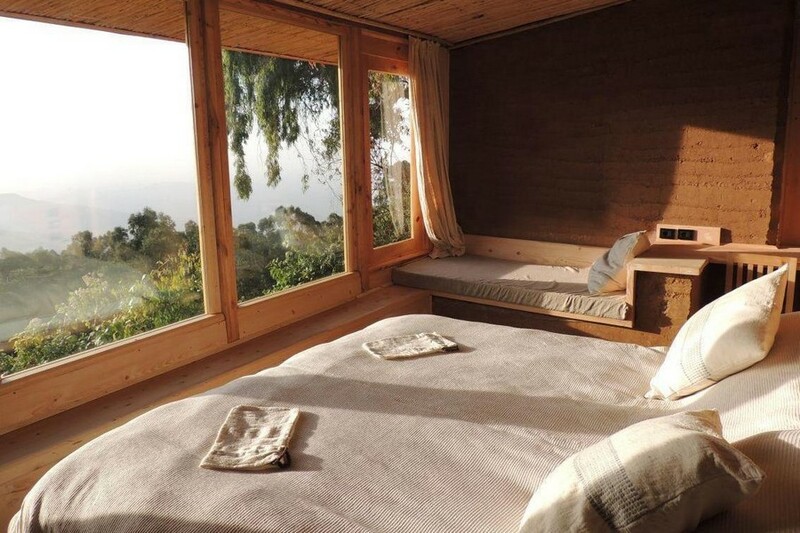 This 12-room hotel is located within a UNESCO-recognized National Park, which has canyons like the sculptures of nature. 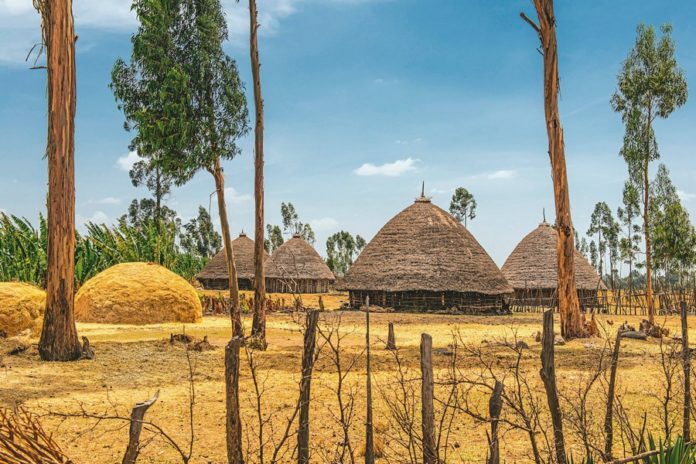 The rooms are made of compressed soil, wood, and thatched roof, and are decorated in the Ethiopian-style countryside, creating the feeling that they have existed here for generations. 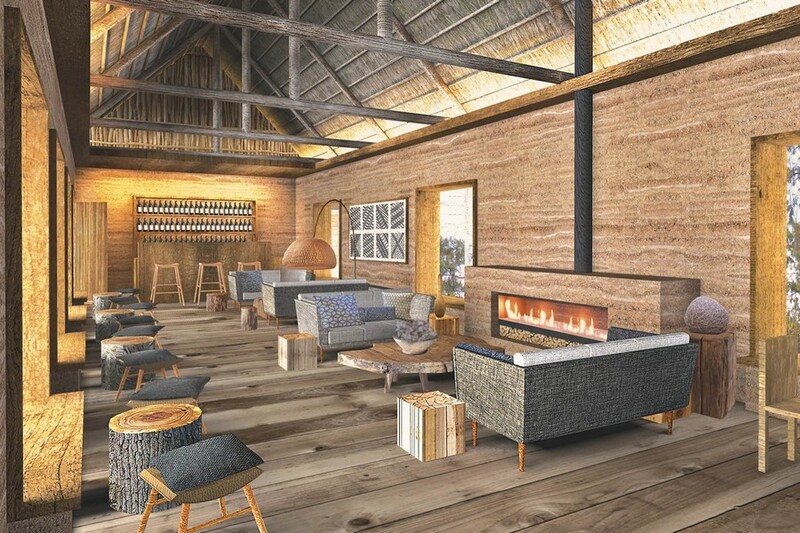 The whole building of Limalimo Lodge is used eco-friendly materials, energy supply from renewable sources while waste water will be reused right away. Limalimo Lodge. 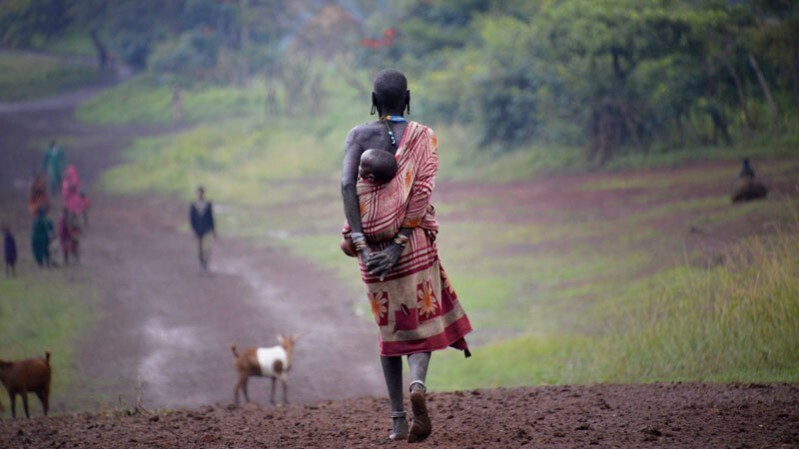 Photo: Ethiopia itinerary 1 week blog. What are more interesting things to do when getting Limalimo Lodge?. 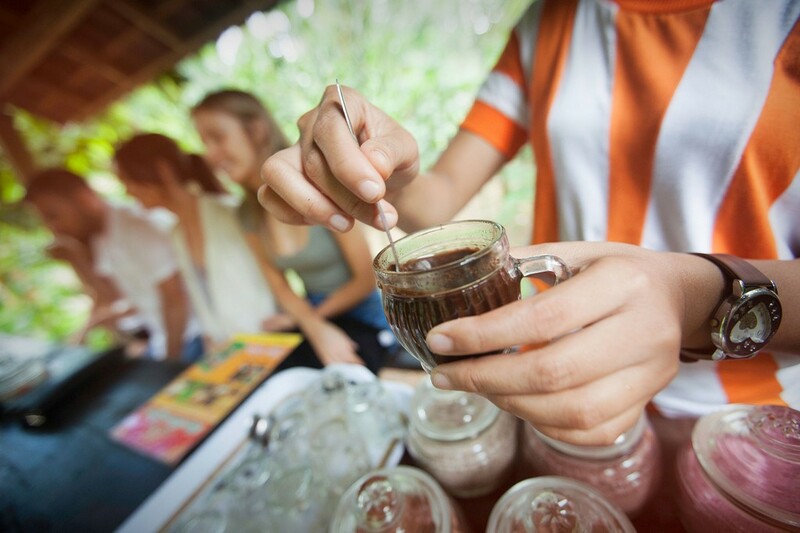 Join trekking, camping, bird watching, or meeting indigenous people to enjoy Ethiopian traditional coffee ceremonies. That are the beans are baked in charcoal stoves, mashed with stone mortars, then mixed into the typical beverage on the fire. You can also enjoy some of the drinks at the cliff-side restaurant with the breathtaking view, or sit by the campfire at night. 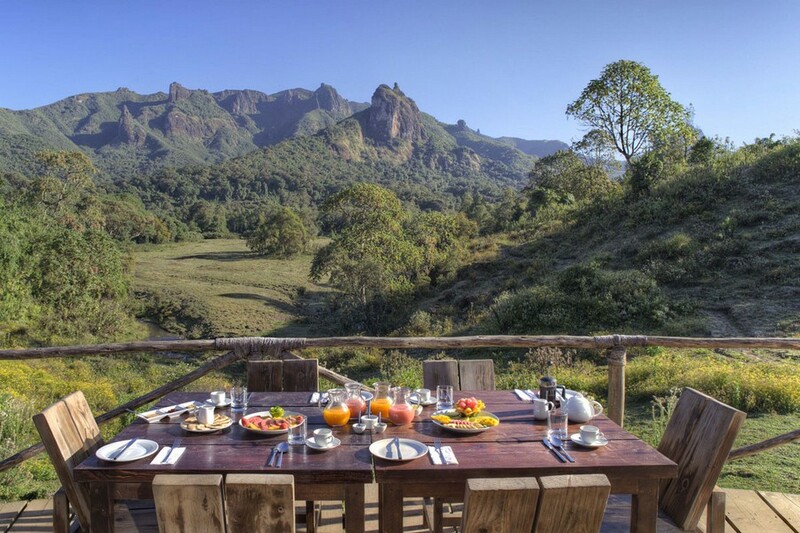 Especially, lying in a hammock on the big acacia trees and watching barrels of Gelada monkey passing through is the experience you can only get at Simien. All of the creatures on display at the Archaeological Museum of Axum are all as glamorous as you can see from the Sotheby’s catalog. And, of course, every item is priced at less a few million dollars. There are kilograms of gold from the crown, jewels, silver cups, and crucifix cans. Costumes, dresses are embroidered with gold. One of the charms of this museum is that these treasures are preserved in glass cabinets with tiny, loose locks, and all are presented in a room protected by a woman. This woman was a cruiser until 1991 without a camera, bulletproof door, or any other sophisticated security system. Furthermore, the Ark of the Covenant – containing the Ten Commandments – was also displayed in the nearby chapel. 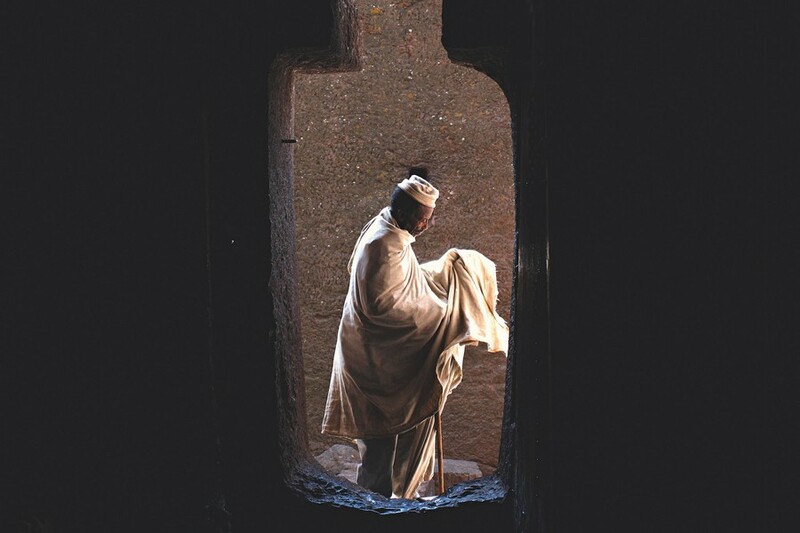 If you would like to own religious books with natural-colored illustrated covers on goatskin, African masks or 1,700-year-old coins, go to the Axumait Handicraft Center. Hailemariam Zerue – shop owner – will definitely answer your questions. 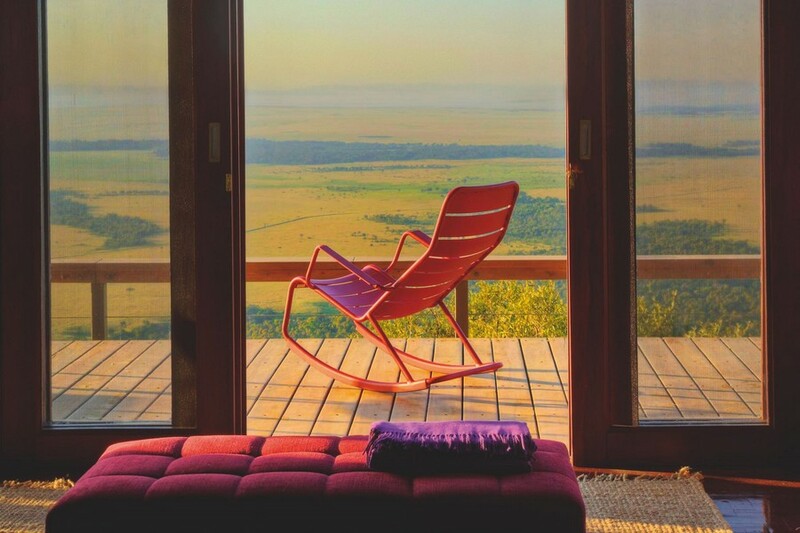 Opened in 2014, the Bale Mountain Lodge – a blend of stone, wood and roof structure – is the only resort within the Bale Mountains National Park, located just below the jutting out point called Mount Gushuralle, four sides around are forests, lakes and steep slopes. 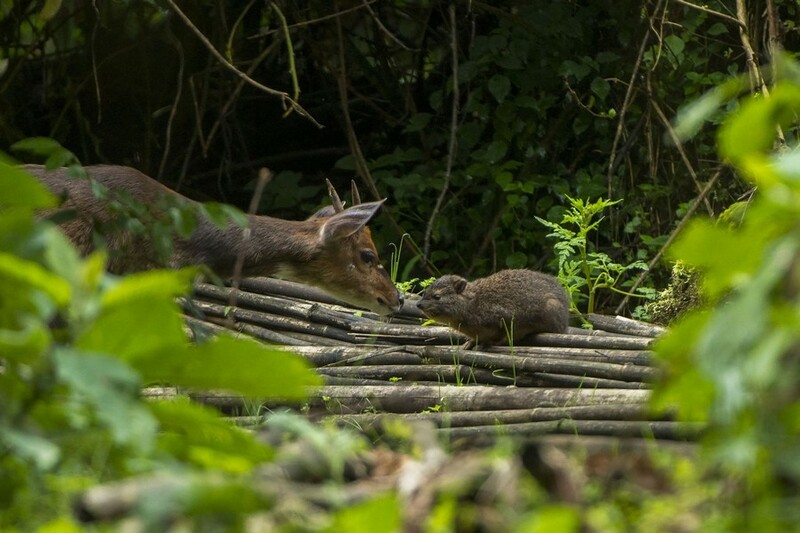 Besides, this land is home to many rare animals such as Ethiopian wolves, Bale monkeys and wild boar that you will often see them around the resort. Each room at Bale Mountain Lodge has its own fireplace with windows designed around the room, offering wonderful view while enjoying breakfast. 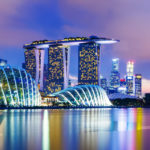 For the purpose of complying with green living regulations, even the resort’s power supply is also provided by the water source of the river below. 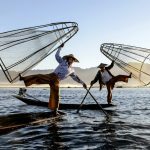 In particular, visitors can take part in many outdoor activities with their own guides such as walking around the national park, fishing, bird watching, horseback riding and many indigenous cultural experiences. Spending 8 days here to experience a different lifestyle, try indigenous cuisine, forget who you are for a while. 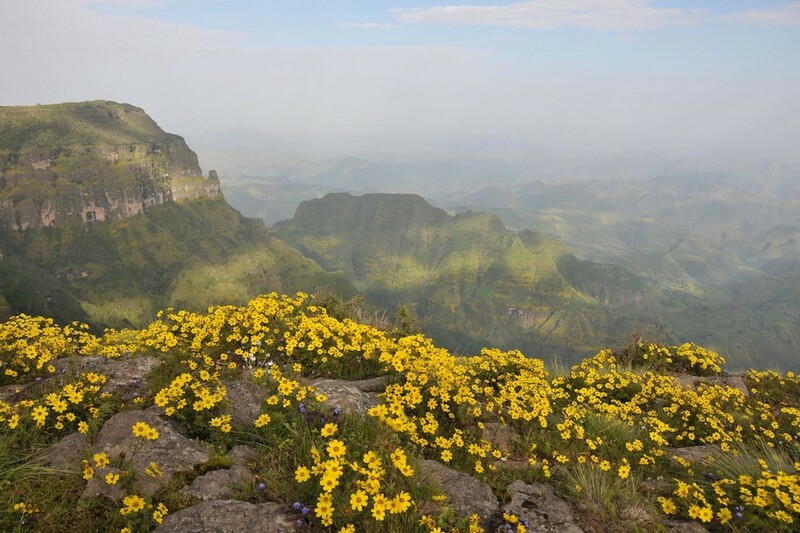 Ethiopia is promised to give you the best feeling of relaxation. Let’s tick it off on your bucket list right now and head over it!